The Israel Council on Foreign Relations (ICFR) is a non-partisan forum for the study and debate of foreign policy operating under the auspices of the World Jewish Congress. Established in 1989 by the late Dr. David Kimche and a group of prominent practitioners and scholars of international affairs, the Council aspires to stimulate public awareness of world events and insightful discussion of foreign policy issues, particularly regarding Israel, the Middle East, and Jewish affairs. The ICFR is a favored platform for distinguished foreign visitors who wish to present their views in a nongovernmental setting, and regularly organizes public and closed-door lectures and symposia. Since its inception, the Council has hosted numerous heads of state, prime ministers, foreign ministers and other outstanding guests from abroad, as well as prominent local scholars and politicians. A wide cross section of Israeli society, including government officials, Israeli and foreign diplomats, university professors, leading business people, journalists, and promising students, participates in the activities of the Council, which accommodates a wide range of viewpoints. In 2006, the ICFR launched its flagship publication, The Israel Journal of Foreign Affairs, which appears three times per annum and is published by the London-based Taylor & Francis. Through the ICFR's Young Diplomats Forum, foreign diplomats currently posted in Israel are able to meet with their Israeli counterparts to discuss issues of common interest. Founded in 2006, Тhe Israel Journal of Foreign Affairs is the Council's flagship publication. In a short time, the journal has succeeded in developing a strong reputation, attracting the writings of many leading authorities in various aspects of foreign affairs from Israel and abroad. In an attempt to engage and encourage tomorrow's diplomats and scholars, it has also published a number of papers by outstanding graduate students from institutions in Israel, Australia, Canada, India and the US. 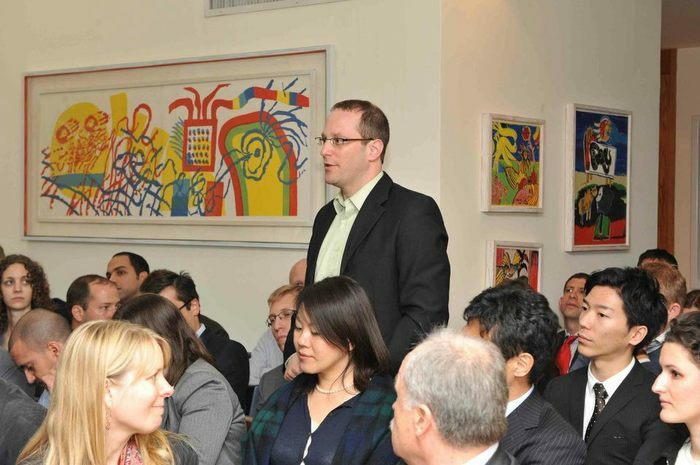 The ICFR Young Diplomats Forum, launched in April 2011, enables young Israeli diplomats (under 40 years of age) and their international counterparts currently posted in Israel to enhance their knowledge of, and exchange ideas on, issues of common interest. It also affords participants an unparalleled networking opportunity. The Forum provides an opportunity for participants to interact through closed-door, Chatham House-style policy meetings, which are generally held at the residences of ambassadors to Israel. These policy talks are devoted to specific themes relevant to the current Middle Eastern and international agenda. In this way, the foreign ambassadors of tomorrow acquire both a substantive knowledge of Israel and a network of Israeli contacts, both of which are beneficial to the evolution of future relations. Similarly, the Israeli young diplomats gain an invaluable understanding of the countries their foreign counterparts represent. The Forum also affords participants an unparalleled networking opportunity. To see the latest photos from Young Diplomats Forum events, please visit our Facebook page. Foreign Minister of Albania, who spoke on “Reflections on the Past and the Present in Albanian Foreign Policy." Minister of Foreign Affairs of Romania, who spoke on "The Eve of the Bucharest Summit: The New Romania, NATO and Israel." The event was sponsored by Bank Leumi. 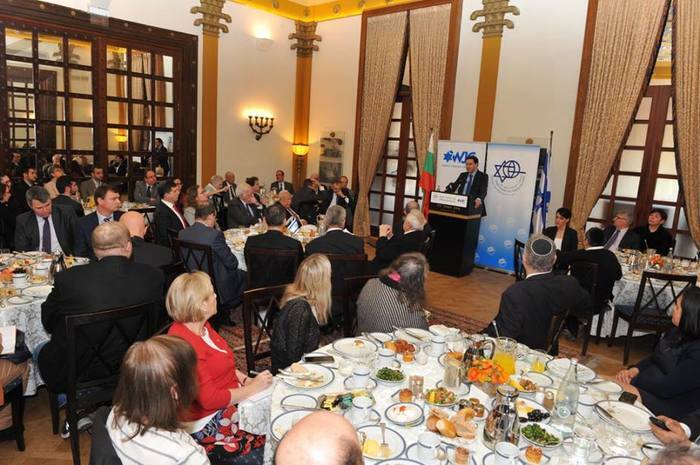 Prime Minister of Bulgaria, who spoke on "The Strategic Dimension of the Bulgarian–Israeli Partnership." Foreign Minister of Bulgaria, who spoke on "EU Policy for the Middle East: A Bulgarian Perspective." Foreign Minister of the Czech Republic, who spoke at a roundtable discussion on "The Middle East as Seen from Middle Europe." Chairman of DIE LINKE faction, head of the opposition in the German Bundestag and former Chairman of the Party of Democratic Socialism (PDS), who spoke on "Europe and the Crisis in Ukraine: Is the International Community Facing a New East–West Conflict?" Deputy Foreign Minister of Azerbaijan, who spoke at a closed dinner on "Azerbaijan's Place in the Middle East and its Security Concerns." resident of Ukraine, who spoke on "Ukraine and Israel: A Dialogue for the Future." Foreign Minister of the Kingdom of the Netherlands, who spoke on "Israel and the EU: Beyond the Horizon." Deputy Foreign Minister of Israel, who spoke on "Challenges to Israeli Foreign Policy." Foreign Minister of Nepal, who spoke on "The Foreign Policy of Nepal in the Changed Political Context." Prime Minister of Albania, who spoke on "'Righteous among the Nations'—Albania's History of Friendship with Jews and the Jewish State." UN Special Coordinator for Middle East Peace Process, who spoke on "Israel, the UN and the Peace Process." Foreign Minister of Israel, who spoke on "Israel and the Middle East at a Crossroad." President of the Dominican Republic, who spoke on the challenges to statecraft in the modern era. French Minister of Justice (in cooperation with the IDC Herzliya European Studies Center) who spoke on "France in the Process of Change: Law, Reform and Society." Chairman of the Portland Trust, who spoke on "The Role of Economic Initiatives in Peacemaking." Former Vice Chancellor and Minister of Foreign Affairs of the Federal Republic of Germany (in cooperation with the IDC Herzliya Center for European Studies and the Heinrich Böll Stiftung), who spoke on "The German Foreign Ministry and the Nazi Past." Prime Minister of the Palestinian Authority, whose speech on "The Current State of Affairs Between Us" was delivered by Riad Malki, Minister of Foreign Affairs and Minister of Information. Minister of Foreign Affairs of Serbia, who spoke on "Serbs and Jews." Professor of German History and Member of the Historical Commission of the German Foreign Ministry, who spoke on "Secrets and Revelations: The Wartime History of the German Foreign Ministry." Thirty-Ninth President of the United States, who spoke on "My Study Trip to the Middle East." President of Latvia, who spoke on "Latvia and Israel." Foreign Minister of the Czech Republic, who spoke on "Reflections on Czech–Israeli Relations in Light of EU Policies." Foreign Minister of Spain, who spoke on "The Peace Process: Facts and Expectations." Prime Minister of Sri Lanka, who spoke on "The Current Political Situation in Sri Lank and a Vision for the Future." The event was sponsored by Ms. Rina Pushkarna, proprietor of the Tandoori chain of Indian restaurants. Special Envoy of the Quartet, who spoke on "After the Withdrawal: What Next?" Lord Mayor of Manchester, who spoke on "Muslims in the UK and Europe." © Copyright Israel Council on Foreign Relations.